Kohli and Co. did it again. They outdid the visitors, West Indies, to grab another home win. After winning both the Tests, Men in Blue had started off on a positive note after registering a win in the first ODI. The second ODI saw the match being tied between both the teams. And all the credit goes to Shai Hope who scored a boundary off the last delivery when it was 5 needed. In the third match, West Indies earned a well-deserved win and tied the series 1-1 with two matches to spare. For India, the remaining matches seemed to be a cakewalk as they defeated Windies in the Mumbai and Thiruvananthapuram ODIs. The 5th ODI ended in a record fashion. 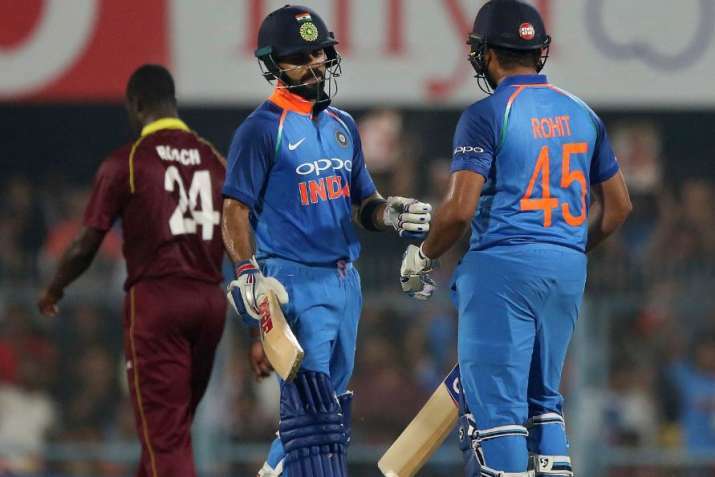 46.4 overs (India’s 14.5 overs and West Indies’ 31.5 overs) is the shortest completed 50-over ODI in India featuring India. Thanks to the Indian bowlers who bundled out the visiting side for a mere total of 104 runs. For India, Virat Kohli and Rohit Sharma drove the team towards victory in less than 15 overs after Shikhar Dhawan turned out to be a flop yet again. Ravindra Jadeja picked 4 wickets for India along with the Man of the Match award. With 453 runs from 5 ODIs, Indian skipper Virat Kohli (Man of the Series) was at his batting best yet again. After clinching the Test and the ODI series, Ravi Shastri’s men would be facing West Indies in a 3 match T20I series commencing from 4th of November. Facing WI in T20Is should be comparatively difficult for India. After finishing the T20I series against West Indies, the Indian team would be heading to Australia and then New Zealand before the World Cup.